Posted by Denise Deby. Thanks to Gabrielle White, Ecology Ottawa volunteer, for the information. Every year (for 9 years now! ), Ecology Ottawa organizes the Great Glebe GREEN Garage Sale during the Glebe Community Association’s Great Glebe Garage Sale. This year it all happens on Saturday, May 28, 2016. 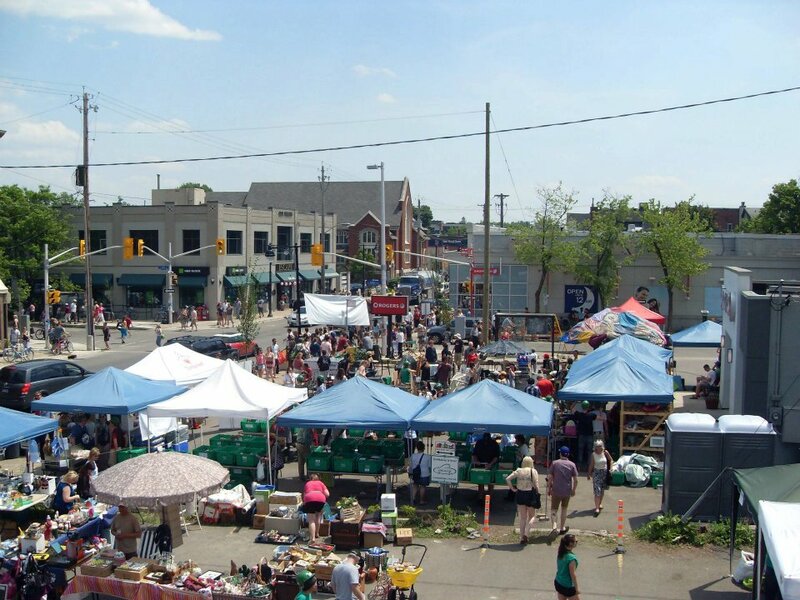 The Great Glebe GREEN Garage Sale is a garage sale, fundraiser, vegetarian BBQ, family activity spot and party all rolled into one. There’s baked goods and coffee, a water bottle refilling station, massage therapists and live DJs. Even better, proceeds support the great work of Ecology Ottawa (90%) and the Ottawa Food Bank (10%), and the event helps raise awareness of environmental issues in Ottawa–not to mention keeping reusable items from the landfill. – People with access to a vehicle (or a bike with trailer) to pick-up donations ahead of the sale, and to distribute leftover items to worthy organizations after the event (May 23-31). – Folks to sort donations in the days leading up to the event (May 23-27). – Lots of help at the actual event, including some brave souls to help set everything up at the crack of dawn, salespeople, folks to run the BBQ, people to paint kids’ faces, and plenty of other help to make the event run smoothly (Saturday, May 28). – Help in the days following the event, to sort the leftover items, distribute them to worthy local organizations, return items borrowed from our supporters, and tidy the venue (May 29-31). Find out more, or sign up to volunteer, donate or bake goods for the sale, at http://ecologyottawa.ca/garage-sale/, or contact garagesale@ecologyottawa.ca.